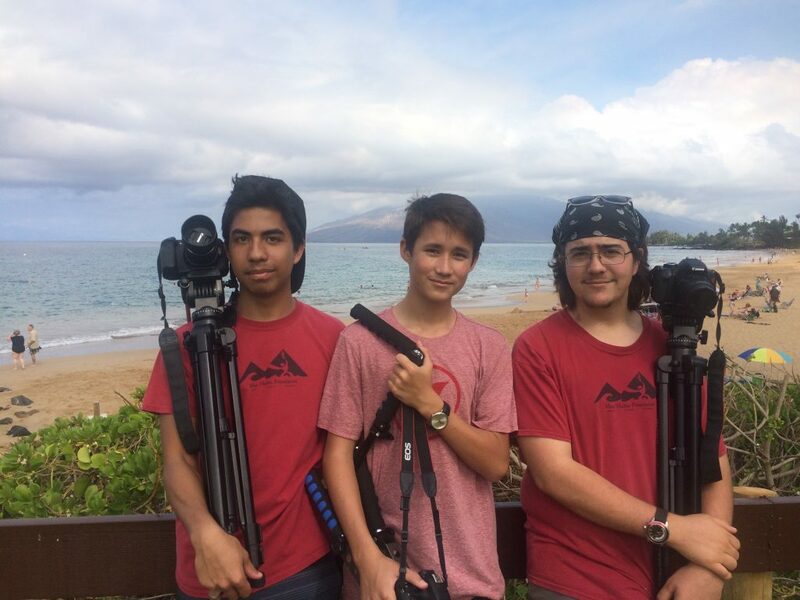 A team of four high school students from the Maui Huliau Foundation’s youth filmmaking program won the Silver Award in the 2018 Ocean Awareness Contest for their film submission. The team consists of two high schoolers, Natalia Polinskey, a senior at Waldorf High School, and Maui Preparatory Academy junior Chloe Chin. The other two members are eighth graders Kaʻimi Kaleleiki from Lahaina Intermediate and Amia Datts-Voluntad, who is homeschooled. The 2018 Ocean Awareness Contest invited students to explore the impacts of climate change through visual art, film, music, poetry, or prose. Their film, entitled “The Ocean: Our Foundation,” was selected from the more than 1,700 Senior Division entries from around the world. The four minute film features three local ocean advocates, ʻEkolu Lindsey of Polanui Hiu, two-time Big Wave Womenʻs World Champion Paige Alms, and Lily Solano of the Maui Ocean Center. All four of the students participated in last yearʻs Huliau Environmental Filmmaking Club, a semester-long program that aims to help keiki in grades 7 to 12 create short films about environmental issues. According to the Maui Huliau Foundation, the studentsʻ film is a compelling case for protecting the ocean and marine life from the impacts of climate change. The film has been selected for the Maui Film Festival, the Wild & Scenic Film Festival in California, the Youth Lens Film Festival in Canada, and the Colorado Environmental Film Festival. The film was also recently featured in the World Whale Film Festival in Wailuku. Bow Seat, a Boston-based nonprofit organization, created the Ocean Awareness Contest in 2012 to teach teenagers about the issues facing our local waterways and global ocean. The organization aims to empower teens to create positive change for our planet. Each year, the contest invites students to explore how human actions impact ocean health through creative arts, with a focus on humanʻs roles as both problem-makers and problem-solvers. Since its launch, the contest has engaged nearly 10,000 teens from 78 countries and all 50 US states. The 2019 Ocean Awareness Contest, “Presence of Future,” is open now through June 17, 2019, to students ages 11-18 worldwide. “The Ocean: Our Foundation” is available on the Maui Huliau Foundation’s YouTube channel. The Maui Huliau Foundation is encouraging students in grades 7 to 12 from all Maui schools to apply for their spring filmmaking program. The deadline to apply is Feb. 25. The program begins on March 3 and meets mostly during spring break. 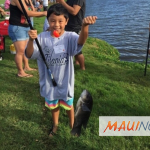 More information and the program application can be found on the Maui Huliau Foundation website. 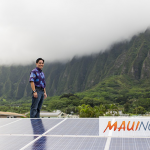 Anyone with specific questions can contact (808) 757-2100.